A Perfect Sky's DanceDanceRevolution jacket. 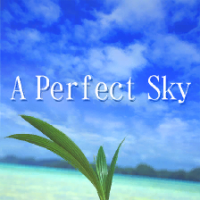 A Perfect Sky's うたっち banner. A Perfect Sky has been used in commercials for Shiseido's makeup line ANESSA. A Perfect Sky is BONNIE PINK's 25th single. It was later released on her ninth album Thinking Out Loud in July 2007. BONNIE PINK was once featured in m-flo's single Love Song. 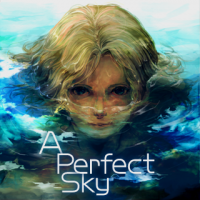 In うたっち, A Perfect Sky can be bought in the Shop for 1500 points. This page was last edited on 13 December 2018, at 15:34.